We knew the cargo delivery van would come into play very soon. Europe has a major quest for green sustainablity and it is no surprise they concept vans will be released there first. "To realize truly significant reductions in carbon emissions, powertrain electrification will have to extend beyond just passenger cars. But electric commercial vehicles have received relatively little attention from established manufacturers. That is seemingly about to change, at least in Europe. At the recent IAA Commercial Vehicles trade show in Hanover, Germany, both Mercedes-Benz and Volkswagen unveiled electric commercial-vehicle concepts. The smaller of the two is set to go on sale in Europe next year. 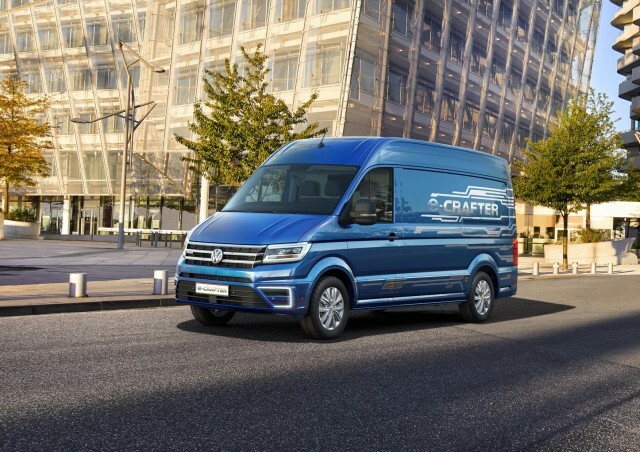 That would be the Volkswagen e-Crafter, an all-electric version of the automaker's Crafter commercial van."